All signed-up YF Youth who are “actively” taking the monthly YF tape quizzes may register for any camp for which they are age eligible. Youth from outside the US and Canada must be at least 18 years old. How do I know if I’m considered an active participant? You are considered to be an active YF participant if you have a consistent record on your YF account of completing the tape quizzes that we post each month. If so, you will see a trophy icon on your YF profile page next to your ID number. If you do not see this trophy icon, you must be more consistent in keeping up with the new quizzes that we post each month. Completing “archived” tape quizzes does not help in earning the trophy. What is Preregistration and how do I do it? Preregistration allows you to choose your camp preferences and fill out your Profile and Medical Information pages (Steps 1-3) prior to Registration Day. The pre-registration period will be announced on the Young Foundations and Still Waters websites. It will begin anywhere from 1-2 weeks prior to the Registration Day and will end once registration begins. A Young Foundations ID number, password, and trophy icon are required to pre-register, and your YF account must be activated. To pre-register for camp, go to the Still Waters website and log in with your YF ID and password. The registration page will open. Fill out Steps 1-3, (the sections with the red circles.) When you see three green checkmarks, you have successfully pre-registered. Bear in mind, pre-registering does not register you in a camp. You will still have to register on Registration Day to secure your spot. Registration Day and time will be announced on the Young Foundations and Still Waters websites. Beginning on that day and time or any time thereafter, go to the Still Waters website and log in with your YF ID number and your password. The registration page will open. If you have pre-registered, you can bypass Steps 1-3 and click Step 4, the payment portion of registration. Once you complete Step 4, the program will automatically do an almost instantaneous search for an opening in a camp based on your preferences. If you get in, you will receive notification stating which camp you are registered for. If you don’t get in, you will receive notification that you have been placed on the waiting list. If you have not pre-registered, when you log in after registration has begun, you will begin at Step 1 and choose your camps. Then you will proceed to Steps 2 and 3 to update your Profile and Medical Information. Next, you will move on to Step 4 to enter your payment. At that point, the program will do a quick search for an opening in a camp based on your preferences. If you get in, you will receive notification of which camp you are registered for. If you don’t get in, you will receive notification that you have been placed on the waiting list. What if I don't have a YF ID number yet? I have a YF ID number, but I don’t have a password. New signees are assigned an ID number and a generic password. Your generic password is your ID number. You will create your unique password after the initial login. If you had a password and just don’t remember your password, you can reset your password on the login page. I lost my YF card, and I don’t remember my number or my password. Send an email to youngfoundations.org telling us that you are trying to register for camp. We’ll get the information to you as quickly as possible. How do I know if I’m registered in a camp? Immediately upon successful online registration, you will receive a confirmation e-mail and a receipt that you can print. 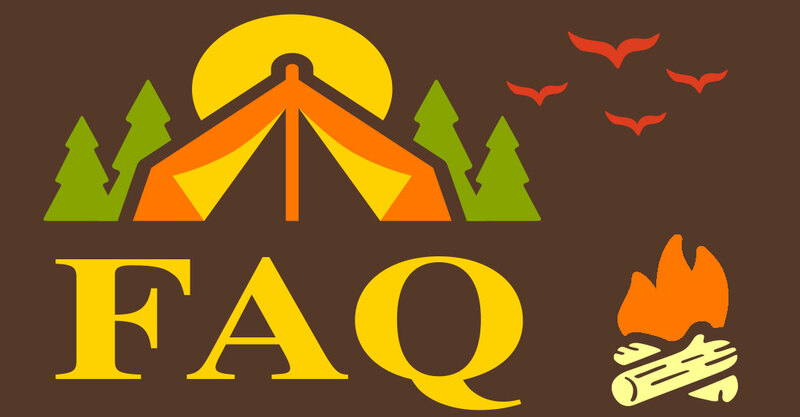 This e-mail will contain additional information and downloads about your camp. Keep this e-mail for future reference. If you have a question about your status, please send an e-mail to office@stillwaterscamp.org . How do I know if the camp is full? The registration program will tell you if the camp is full when you try to register for a camp. When you log in to the Still Waters website, you will see a note that says all camps are full. Fill out steps 1-3 and click Step 4. The program will automatically add you to the Waiting List. You will receive a confirmation email stating this information. Again, only those with a trophy icon may register for the waiting list. I put my name on a waiting list, does that mean I’m registered in that camp? No, you are not registered in that camp yet. I’m on a waiting list. How will I know if there is an opening for me? Still Waters staff will contact you by email and/or text. If we do not reach you that way, we will call you. We cannot hold the spot open for very long. So, make sure your email and phone numbers are correct in your YF Profile, and be sure to check your email often! Can I attend all camps in my age group? Because of a limited number of openings, you can only register for one camp per year. You will be given an opportunity during the online registration process to be placed on a waiting list for future camps. Who will be allowed to attend camp? Only those who are registered may attend camp. Parents, siblings, friends, or other non-registered guests will not be permitted to attend any portion of the camp. How old will the attendees be? Ages will vary. The age range of each camp will be noted with the announcement of the camp. Do boys and girls attend the same camps? Yes. The girls' living quarters and the boys' living quarters are in different areas of the campground. All living quarters are chaperoned. Boys cannot go in the girls' living quarters and girls are not allowed in the boys' living quarters. Boundary lines during showers and after lights-out are supervised and rules are strictly enforced. Campers are closely watched and all behavior is monitored. Inappropriate behavior and displays of affection between boys and girls are not tolerated. Who will chaperone the youth? Young Foundations, under the leadership of Brother Joseph, will choose all counselors, chaperones, drivers, speakers, and other special guests. If you are interested in volunteering, you can return to the home page and click the "Volunteer" button. I will be driving my child to camp from out of town. What should I do? You can drop off your child at the camp (Map) during the registration time frame. If you need help finding overnight accommodations for yourself, you may click this link to see a listing of local hotels. Older campers, who are able to drive themselves to camp, will be given a parking spot on the campground. Campers will not be permitted to leave the campground at any time. Those arriving by plane and need shuttle service should advise Still Waters' staff at office@stillwaterscamp.org of their scheduled arrival time as soon as possible. We will pick up/drop off at Louisville International Airport in Louisville, Kentucky, at the following times only if requested. If the camper's flight does not coincide with our pickup times, the camper will be responsible for arranging transportation from the airport to the campgrounds. 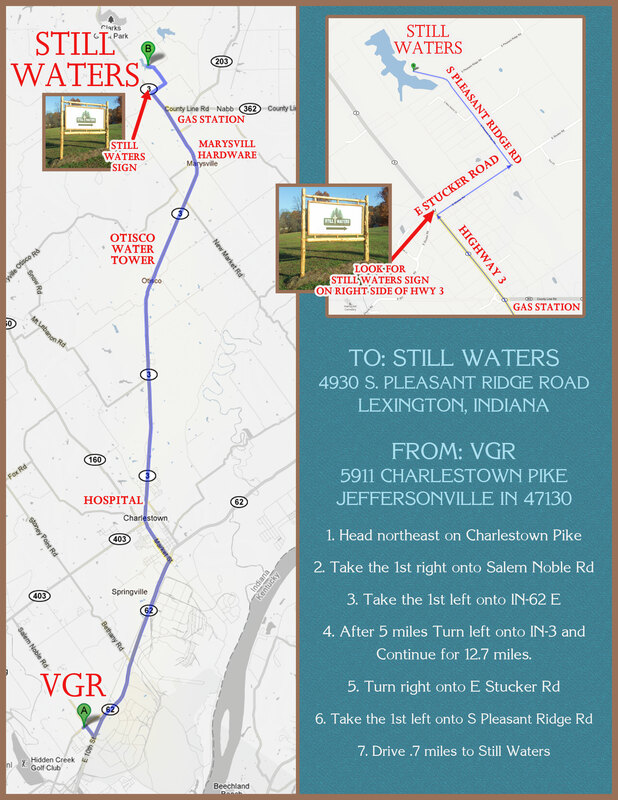 Please email office@stillwaterscamp.org or call 812-889-3333, to request and reserve your seat on the Still Waters Shuttle. I’m flying in. Where is the closest airport? The closest airport is Louisville International Airport in Louisville, Kentucky. See Travel Information page. If you choose to fly into an airport in Cincinnati or Indianapolis, you will have to arrange your own transportation, as we do not offer shuttle service to those cities. Can someone pick me up at the airport and take me back? Yes, we will pick up campers from the Louisville International Airport in Louisville, Kentucky. Call or email Still Waters as soon as possible to reserve your seat on the Still Waters Shuttle. The Shuttle picks up campers at 11 a.m. & 2 p.m. on the first day of each camp. On the closing day of camp, we will get campers back to the airport by 5 p.m.
We will pick up and deliver campers at the airport at these pre-designated times only. If the camper's flight does not coincide with our itinerary, the camper will be responsible for arranging transportation from the airport to the campground. Again, if you choose to fly into an airport in Cincinnati or Indianapolis, you will have to arrange your own transportation, as we do not offer shuttle service to those cities. Can I expect to hear from my child during the camp? Probably not. Guests will be having so much fun that they probably won't have time to call! We do not allow campers to keep their cell phones at camp, so any call must be made from the camp office or from a chaperone’s cell phone. If your child gets homesick, except for extreme circumstances, we will discourage a phone call home; oftentimes, calling home just makes it worse. We will do all we can to encourage your child to stay at camp. Your child will have access to a phone in an emergency. If you must contact your child, you can contact the camp office at 812-889-3333. If you need information prior to camp, please email office@stillwaterscamp.org. One set per day for daytime activities (paintball, jet ski, etc.) and one set for evening activities (supper, bonfire). You may want to label your clothing and belongings. What should we NOT bring to camp? We suggest campers not bring expensive clothing or other expensive items to camp. No electronics, laptops, iPods, tablets, etc. No device that can access the internet. Why can't my child bring a cell phone? Cell phones can be very distracting and interruptive during activities. We find that most campers actually appreciate the "vacation" from their phones! Most of our staff carries their cell phones for emergencies. Your child will have access to a phone if a need arises. We all desire to please God and strive to keep His Word. In keeping with God's Word, we have set a very strict dress code. We have lots of fun things that you're going to want to do, such as: canoeing, kayaking, zip-lining, bike riding, volleyball, swimming, go-karting, paintball, and jet skiing! Please choose your clothing prayerfully and bring modest clothing appropriate for all activities. The dress code that we have put into place for our young sisters while they are at Still Waters is not only for their modesty, but to also train them to recognize how certain clothing, although innocent enough, can be a trick. We strive to be as far away from the world as possible and be ladylike and godly, as Brother Branham has taught us. Since you’re going to be so active, your skirts should be longer and looser and your necklines higher and shirttails longer than what you may wear for your daily activities at home. Splits in skirts must be way below the knee. 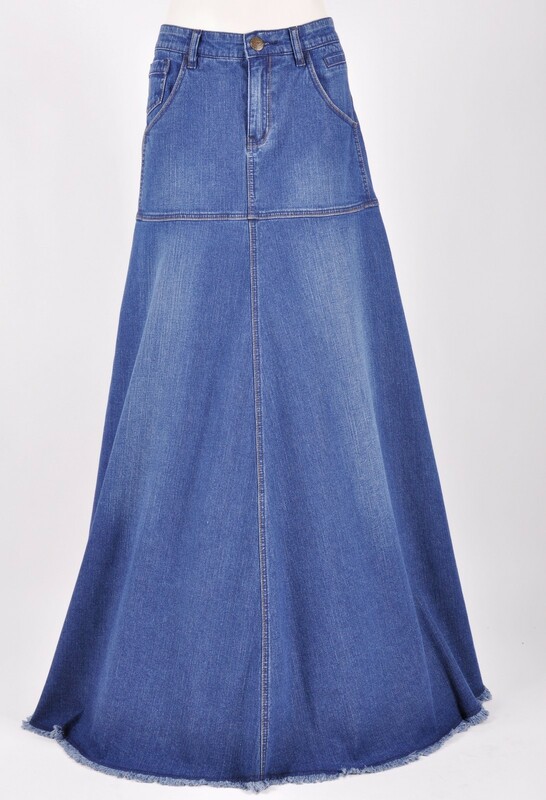 Please bring at least three, ankle-length, denim skirts for activities that are very full in the hips and the legs-- not too straight and/or restrictive. Your skirt should allow you to climb in and out of boats, ride a bicycle, and sit astride a jet ski – modestly, with your knees easily covered. Here is an example of a good camp skirt. If you play paint ball, you’ll be running, climbing towers, jumping over and diving in bunkers, and dodging paint balls! So, remember also to bring a skirt that can get paint splattered! No fitted or semi-fitted tee shirts. Tees should be loose fitting. No tight-fitting or cropped tie cardigans. Brother Branham said women wearing tight clothing looked like a “skinned wiener”, so, of course, tight-fitting clothing is not allowed. Sleeveless and cap-sleeved shirts are not permitted. This is a good sleeve length. Skimpy undershirts and tank tops should not be seen through your top layer shirt. If your base layer/undershirt shows through, it must be modest and provide good coverage. 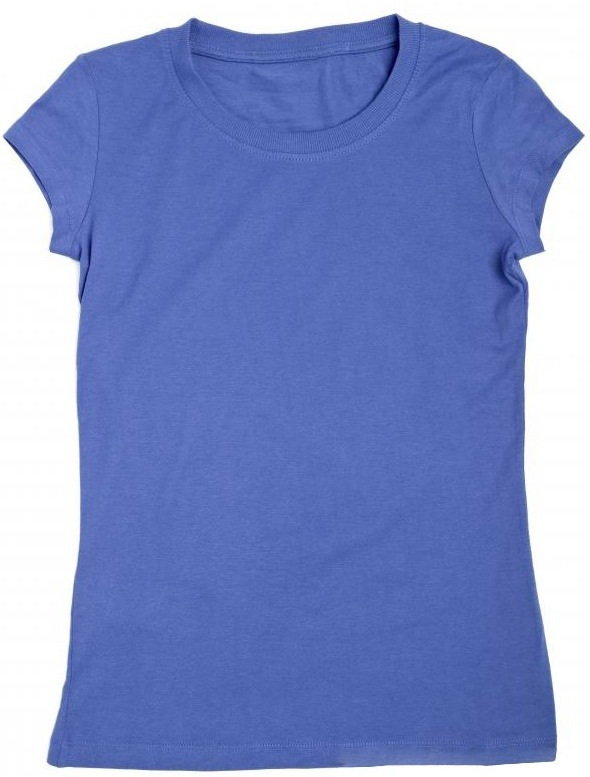 A cap-sleeved, high crew-neck tee works best as a base layer. 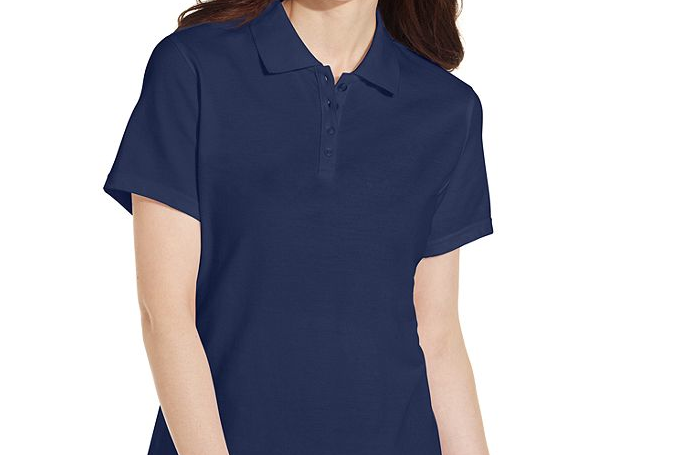 Here is an example of a base layer shirt that gives good coverage and works well for most people. No lace. We’re not saying lace is wrong, but it’s not for Still Waters as lace can be worn in a way that is immodest. No graphic tees (shirts with pictures and writing on them) at all except for Young Foundations, Still Waters, and your church camp tee shirts. Please, do not bring your jewelry to camp. You may wear an inexpensive watch. No Fitbits or Apple watches, etc. Modest swim dresses, which we provide, will be required for all the sisters who want to swim in our private beach area. The dress will be worn over your swimsuit. The swim dress can only be worn in the water and at the beach during designated girls' swim sessions. Girls will have to change back in to their regular clothes when their swim session is over. There will be no exceptions to these rules. The sister chaperones are on hand to help you protect your modesty while you're here. If you have a question about a certain garment, please feel free to ask the sister chaperones if the clothing is appropriate. If at any time the chaperones determine that your clothing is inappropriate for an activity, a change of clothing will be required. If you cannot perform a specific activity in a modest fashion, you will not be permitted to participate in that activity. We will have extra shirts and skirts on hand if needed. We expect our young men to bring only clothing that is becoming to sons of God. Please do not bring any jewelry (bracelets, necklaces, etc.) Graphic tees (tees with pictures and/or writing) cannot be worn at all except for Young Foundations, Still Waters, or your church camp shirts. All shirts should have sleeves - no tank tops or muscle shirts. And, shirttails must be long enough to cover you when playing volleyball or paintball. Please do not bring skinny jeans, saggy jeans or short pants. Bring pajamas or some type of sleeping attire. The boys should bring swim shorts. They will have to change back in to long pants and a shirt when their swim session is over. There will be no exceptions to these rules. If at any time, our chaperones feel that an article of clothing is inappropriate, a change of clothing will be required. For worship services, casual clothing is acceptable (khakis and nice denim), but, please, no shirts or jackets with any writing or graphics on them. Any Young Foundations or Still Waters shirts are acceptable, excluding the paintball shirt. How will the swimming activities be conducted? During scheduled swim times, all males and females will be completely and totally segregated. During scheduled swim times, all opposite genders (including all staff) will be busy participating in other activities in the game area of the camp which is located in a secluded wooded area on the opposite side of the campground. Boundary line rules will be strictly enforced during swim times. Camp staff will closely guard and patrol all boundaries to ensure complete privacy for the swimmers. Male lifeguards will be on duty when the boys swim, and female lifeguards will be on duty when the girls swim. All campers participating in aquatic activities such as canoeing, kayaking, paddle boating, and swimming will be required to wear a life vest. We will provide breakfast, lunch, and supper (when applicable.) Drinks are included with meals and free bottled water is available and encouraged at all times. You are permitted to send snacks if you like, but we ask that you do not send any peanut products, as many people are allergic to peanuts. Your child may want to purchase snacks, soft drinks, and/or sports drinks from our vending machines. If you require a special meal, such as vegetarian, gluten-free, diabetic, low fat, etc., please contact us at office@stillwaterscamp.org. Someone from our Dietary Department will contact you about this. All food allergies must be noted on the Health History form, which you will complete during online registration. We will do everything we can to accommodate your child's needs. Our Health Supervisor and Dietary Department may contact you before the camp starts to discuss your needs. My child requires medications. Can he/she still go to camp? Most likely, yes. Our Health Supervisor will review your child's Medical History form, which you will fill out during the online registration process. The age of the child and the type of medications will be taken into consideration. All campers who require daily medications should bring their medications in the original containers. Please put medication bottles in a Ziploc bag and write your child's name on the bag. Please do not pack the medications in your child's suitcase, as medications will be reviewed by the Health Supervisor at check-in. Again, the Health Supervisor may need to call you for further information. What if my child is injured or becomes sick during a camp session? Each camper is required to have provided a signed medical release and waiver prior to camp. If your child gets sick or injured, we will make every effort to contact you or the designated emergency contact person as soon as possible. Our Health Supervisor is a trained paramedic. He will assess your child's condition and make a decision as to how to proceed. Our local EMS and hospital will be on call during all camp sessions. If necessary, we will transport or have your child transported to an appropriate medical facility. The closest medical facility is less than 15 minutes from the campground. Parents will be responsible for all fees associated with any required medical treatments. If you have to cancel, please email office@stillwaterscamp.org as soon as possible.